We will work with you to design a program that will enhance your time in the field with your hunting partner. We can help you achieve your goals whether it is strictly a brag dog in the field or a champion title. 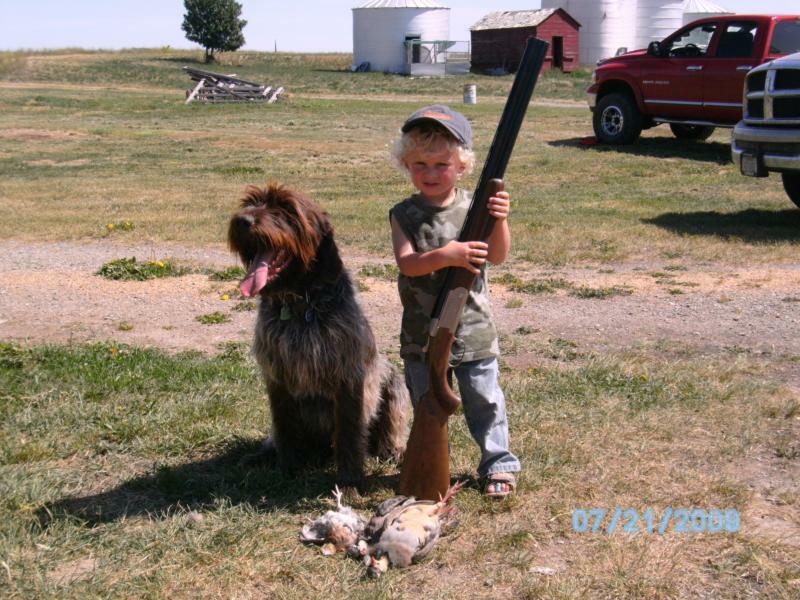 This program is intended for the pup around 6 months of age, and is a great start to your next hunting buddy and brag dog. This is a no pressure program and is structured to bring out their natural instincts in a relalistic setting. We start out pigeons and then advance to chukar and pheasant. For water work we use pigeons and ducks. Call for more info.